Thanks to everyone who joined us for this ISHE education event! Your certificate of attendance and a copy of the presentation slides are available in the ISHE member-only area. 5435 E. 16th St., Indianapolis, 46218. The NeuroDiagnostic Institute and Advanced Treatment Center is Indiana’s first new state mental hospital since 1952. 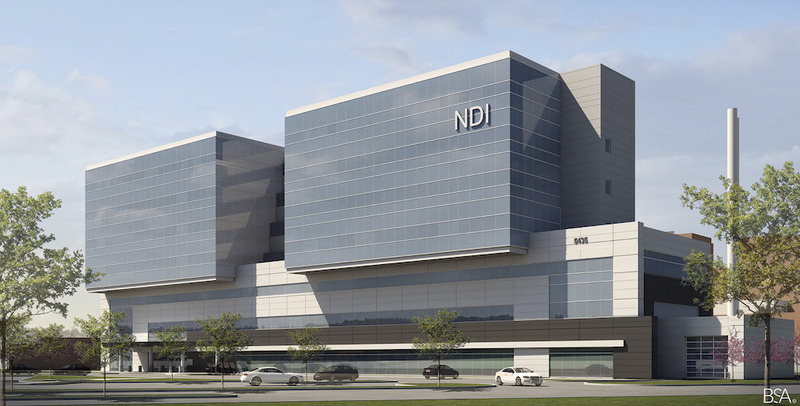 The facility will be a key component allowing Indiana to be equipped to diagnose and care for those who suffer from neurological and mental health disorders. BSA LifeStructures’ design utilizes the existing Community East infrastructure to form a new facility and a connector between the two buildings with a variety of new systems and state-of-the-art equipment. Please bring a hard hat, safety glasses and vests as they are required for the tour. Items will be provided to those who need them. This event is free to ISHE members, $75 for non-member healthcare facility staff, and $225 for non-member suppliers. ISHE membership is the same as these costs ($75 for healthcare facility engineers, $225 for associate/supplier members – includes up to 3 individuals per associate member company). So if you are not yet a member, we recommend that you first join ISHE at and get all of the benefits of membership, including free registration for this event! Register Now >> Note: You must join or renew before the meeting for your registration to remain valid. Keith Huehls, P.E. – Senior Project Manager, BSA LifeStructures: With a background that crosses many market segments including healthcare, higher education, and industrial projects, Keith brings over 22 years of project management and engineering experience to BSA LifeStructures. Keith is a licensed Professional Engineer in Indiana and Kentucky, as well as an ASHRAE, certified Commissioning Process Management Professional. Bryan Sander, AIA, LEED AP BD+C – Architect, BSA LifeStructures: Bryan, a project architect with BSA LifeStructures, has experience on a variety of project types, including a broad spectrum of healthcare facilities and medical office building design. A graduate from Ball State University, Bryan focuses on engaging with clients and user groups to identify their needs to create design solutions that offer measurable outcomes. Bryan’s collaborative design process introduces new sustainable design ideas that help clients achieve their goals, creating balance between the built and natural environments. Dr. Jerry Sheward: Jerry Sheward, MD is an Indiana psychiatrist with over thirty years of practice experience and 29 years of behavioral health administrative experience. He has also served as consultant to several central Indiana managed care organizations over the course of his career. In addition to his clinical leadership, he led the development and implementation of a behavioral health electronic health record in partnership with MedInformatix as part of his duties as chief medical officer of Aspire Indiana, Inc. This large community mental health center serving north central Indiana grew to over 400 employees, serving 11,000 patients per year during his tenure. The EHR project led to the creation of a value-added reseller subsidiary for the software in 2005. He was drawn to serve within state government in early 2016 by then Secretary of Family and Social Services Administration John Wernert, MD with the promise of helping to design both a new psychiatric hospital, the first in Indiana in over a generation (The Neuro-Diagnostic Institute and Advanced Treatment Center) and to create a new model of care that would integrate this new facility with the remaining state psychiatric hospitals to increase access and improve overall health outcomes.